Powervault batteries will be charged with solar and some grid power before delivering local flexibility during peak hours for UKPN. Image: Powervault. Solar and battery energy storage is to be used to power deliver local flexibility via a virtual power platform after UK Power Networks signed what is thought to be the first commercial contract of its type using residential assets. The distribution network operator (DNO) has agreed a bi-directional contract with Powervault, which will install 40 8kWh batteries in the London Borough of Barnet to aggregate 320kWh of energy storage capacity and deliver localised flexibilities. The batteries will charge from solar panels installed on the homes, as well as being topped up by off-peak electricity from the grid, to create London’s first virtual power station via Powervault’s aggregation and control platform. UKPN will offer an availability payment for a two hour period within the evening peak (5:30-7:30pm) during which time they will be able to call on the combined capacity of the solar-charged batteries to discharge in unison to relieve pressure on the electricity network. Residents would then benefit from utilisation payments between December 2018 and February 2019. Barry Hatton, director of asset management at UK Power Networks, said: “We are committed to harnessing new technology to deliver direct benefits to our customers. Our plans to create the capital’s first ever ‘virtual power station’ are paving the way for a smart, flexible electricity network that puts people in charge of their energy use. 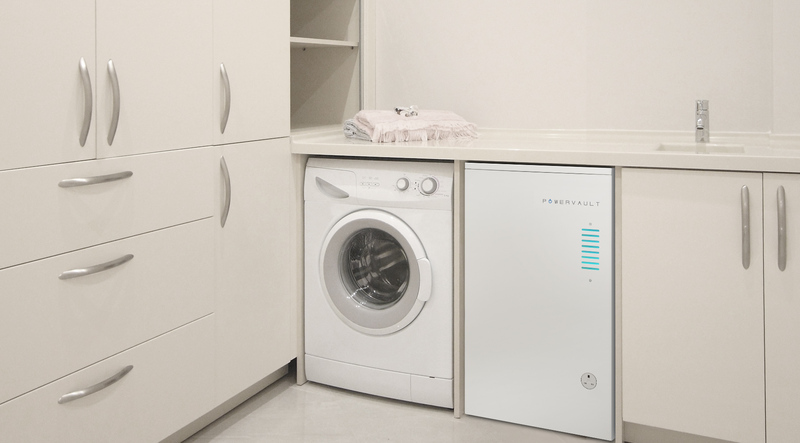 Powervault put forward the plans following an Ofgem and National Infrastructure Commission (NIC) funded trial in February when 45 batteries were installed in homes and remotely controlled to minimise consumption during evening peak hours. On average, it found that household evening demand was reduced by 60%. Nick Wood, commercial analyst for Powervault and project lead for the upcoming initiative, said the new contract will build on the lessons from the earlier trial. "Both we and UKPN have started small, the value in this tender is in the learning. We and they really want to understand how it works and facilitate domestic participation in local flexibility,” he told sister publication Current±. "There were some really valuable insights that came out [of the February trial] but it was the active control that UKPN was really interested in. Local flexibility markets are quite new for everyone and they are still exploring what is the best way to tender for them to get the most value and incentivise flexibility, so we're working with them on that." The contract with Powervault sits outside of UKPN’s other efforts to procure local flexibility via Piclo Flex, “an online dating” service for distribution network operators (DNOs) and distributed energy resources (DERs) launched earlier this month. Alongside OVO Energy, Moixa and Open Energi, Powervault has signed up to deliver flexibility on the platform, with the first tenders for the various UKPN ‘hotspots’ expected in Q4 later this year.